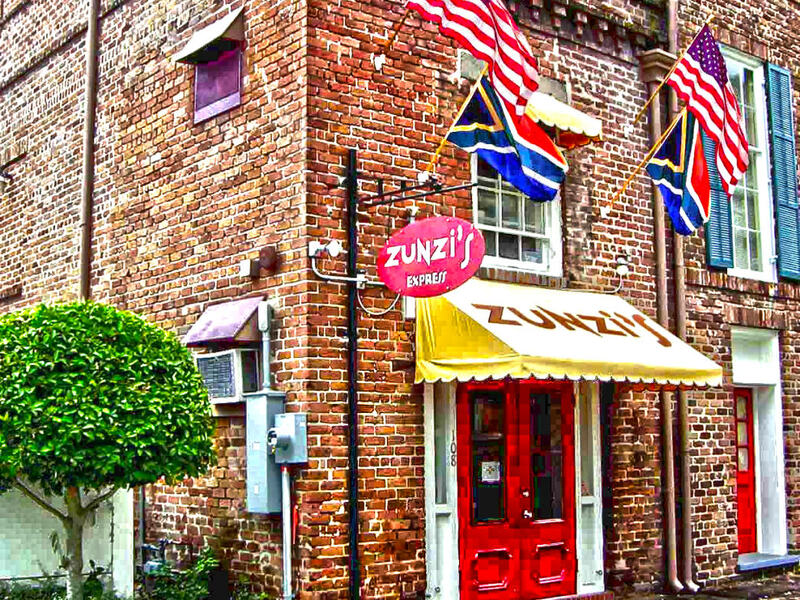 A line out the door of a restaurant is almost always a good sign, and at Savannah’s Zunzi’s, it’s a safe bet that you’ll be waiting for a bit in the alleyway outside the front door. But there’s good reason for the effort: sandwiches like The Godfather that have earned national acclaim. Hearty entrees that reflect founders Johnny and Gabby DeBeers’ South African and Swiss, respectively, heritages. And portion sizes that satisfy even the heartiest of appetites. “Their combined eclectic cultures allowed them to come together and create their unique flavors and recipes,” marketing director Teri Gardner says. Take Johnny’s homemade South African sausage, for example. It makes appearances in sandwiches like The Godfather (which also features chicken, marinara, Parmesan, and provolone) and Boerwors on a Roll, as well as in the Oliver’s Lunch entrée, where it’s served alongside baked chicken. Gabby’s homemade special sauce, meanwhile, is a finger-licking-good staple that drips off sandwiches. She plays a key role in developing the restaurant’s sauces and signature dishes, from slow-cooked marinara to impossibly tender baked chicken. 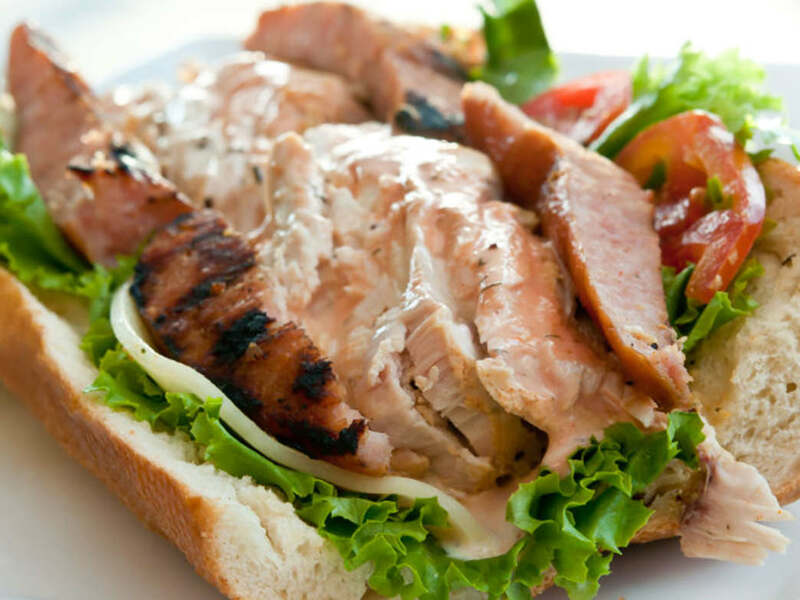 Other creations, like the award-winning Conquistador sandwich, reflect local culinary influences. 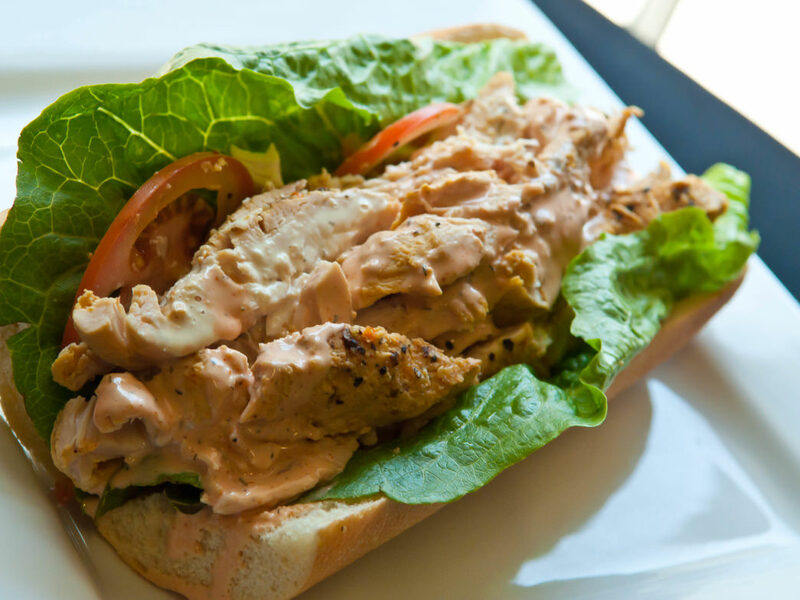 A nod to Savannah’s history of colonial settlers, the sandwich has been featured on the Travel Channel, whose host Adam Richman deemed it “one of the top two sandwiches in America.” Almost the size of your face, the sandwich is stuffed with baked chicken breast, lettuce, tomatoes, and sauce, all wedged between two slices of French bread. 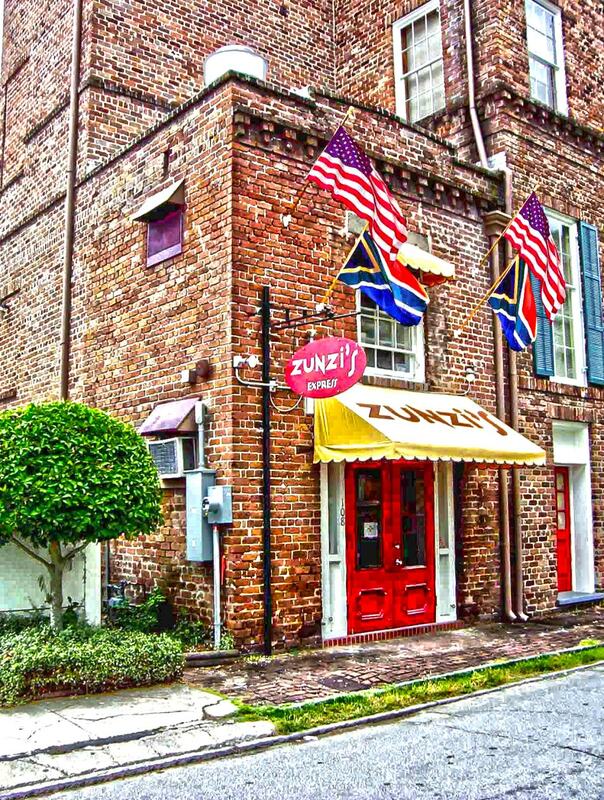 Zunzi’s has two locations in Savannah and is expanding to a third on Savannah’s Southside, with plans to franchise throughout the Southeast. The original Zunzi’s Takeout & Catering is a takeout window, easy to spot thanks to the line of hungry souls. If you’re lucky, snag some coveted seating on the patio seating alongside the building. Or just grab your goods to go for a delightful alfresco meal in one of Savannah’shistoric square parks. For a sit-down meal, head to Zunzi’s second location, a two-story café called Z2 , which features plenty of tables and an outdoor upstairs deck. The sound stage hosts live music weekly. While it’s a separate business from Zunzi's, the restaurant features many of the same menu items. You’ll also find “Old Indian Town curry,” a unique dish that represents Johnny’s South African roots as well as poutine, a French-Canadian staple of fries, cheese curds, and gravy. Additional Information: The originalZunzi’s Takeout and Catering is located at 108 E. York Street. It’s open Monday-Saturday from 11 am to 5 pm for lunch.Z2 is located at 9 Drayton Street. It’s closed Monday, but open for dinner and late-night Tuesday through Sunday.